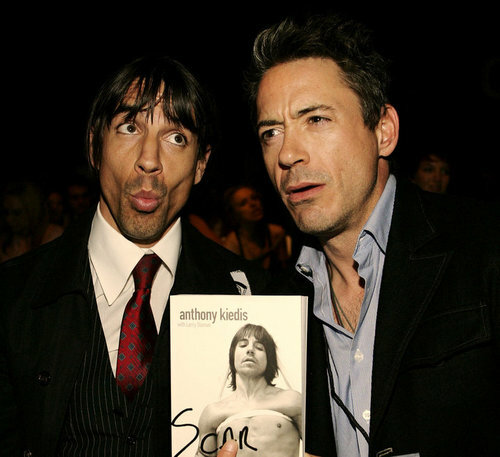 Anthony and Robert Downey Jr.. found on internet. Wallpaper and background images in the Red Hot Chili Peppers club tagged: red hot chili peppers anthony kiedis kiedis anthony rhcp robert downey jr. This Red Hot Chili Peppers photo contains business suit, suit, suit of clothes, and three piece suit.